To recieve a FREE copy of our informative "Renovation, Remodeling, New Construction Guide" or request a hard Copy sent to you by mail click here. We are where fun comes first! To download a FREE copy of our informative "Renovation, Remodeling, New Construction Guide" or request a hard Copy sent to you by mail click here. Absolutely the Best Price, Installation and Service Guaranteed! Smart Homes and More has the areas most innovative options. 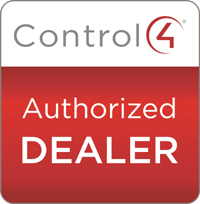 We offer the finest, simple to use products, and the most experienced staff in custom electronics and installation. Let us show you how today's technology can enhance your lifestyle. Today we have many choices in what and where we buy Audio/Video and Home Theatre. Choice is a wonderful thing. We at Smart Homes and More offer you a very different approach to the normal mass merchandiser, or traditional hi-fi store. We are a consulting company. We custom tailor the products to the individual or the whole family. Our theatre rooms will tantalize all of your senses. It is an experience of the careful blending of aesthetics and acoustics. 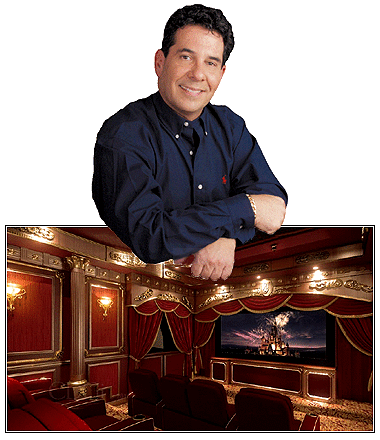 Whether a dedicated theatre room, or the comfort of a family room, our finished products surpasses all of the local cinemas. Your good choice become clear as you see that quality, experience and the joy of working with our career specialists, can help you to achieve the finest sound, clearest picture and a system anyone can use. Perhaps, your biggest surprise is that Smart Homes and More can meet most any budget! 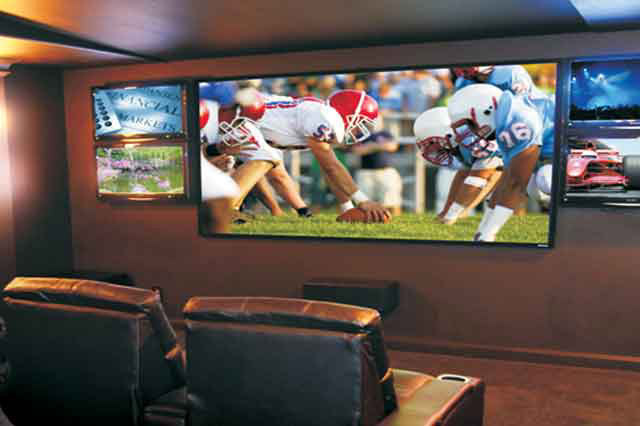 We have Complete Home Theatre Rooms starting at less than half of what the retailers are quoting. Yes you can have your cake and eat it too. Smart Homes and More - Exceeding our Clients Expectations Time and Time Again! "If you would like to set a personal appointment, please contact me at 954-345-3603." All products come with manufacturers warrantees. In addition to manufactures warrantees, "Smart Homes and More" Offers 1 year in home service on all "complete systems" purchased and installed from us.